Balmoral door knob on backplate. Manufactured from high quality brass and finished to a very high standard. 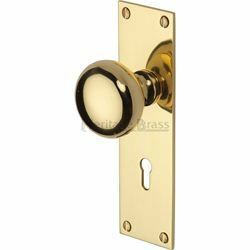 Please note: a minimum of a 3" (76mm) latch must be used with these door knob.